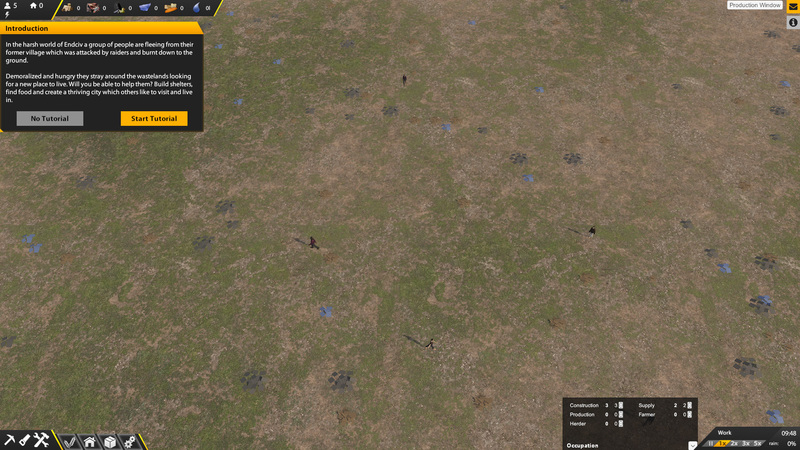 ENDCIV is a post-apocalyptic city building game. Lead a small group of people to build a settlement and make it rise to a thriving city which others like to visit. But with wealth comes greed, various threats will challenge you on your way. Keeping a city alive and satisfy all the needs of your citizens will be challenging. Food, water, energy and building material is limited and is connected to environmental conditions such as animal population, rain, wind and daytime.